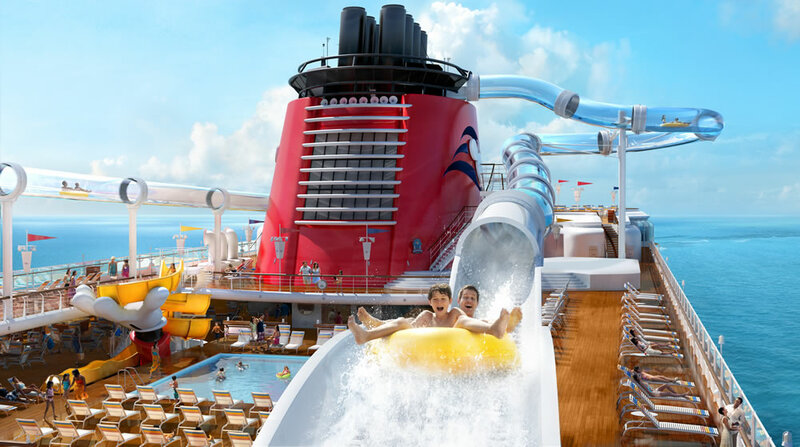 Discover an awesome world of Disney-style activities for cruisers of all types. Spend some time in one of the three freshwater pools or relax with an indulgent massage at the spa. Participate in excited game shows and trivia events. 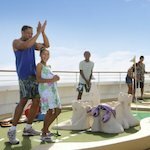 Choose to have family time or individual time throughout your cruise; whatever you do, every choice is sure to yield lifelong memories! 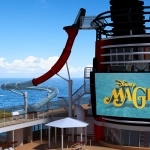 Disney Cruise Line debuted the first-ever shipboard water coaster! This exhilarating high-speed flume ride featuring twists, turns, drops, uphill acceleration and river rapids. Guests are propelled at high speeds through an acrylic tube on a breathtaking journey up, down, around and off the side of the ship, through the Forward Funnel and, following a mammoth drop, into a lazy river. Age and size restrictions may be applicable. Standing nearly 37 feet above the ocean and decks below, you’ll plummet at high speeds when the floor beneath you opens up like a trap door and propels you through a 212-foot-long translucent tube—which curves 20 feet out over the side of the ship—to an unforgettable splashdown. 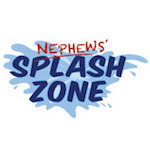 It’s an exhilarating experience from countdown to splashdown!Age and size restrictions may be applicable. Splash into fun in AquaLab! Featuring pop jets, geysers and bubblers, AquaLab is sure to delight every member of the family! Come one, come all to the central family place for swim-time fun. Have a blast in two big-sized spas. And get ready for action from the nearby stage and two bandstands where there’s live music or DJ tunes for much of the trip. You can enjoy a dip in the pool’s refreshing water or relax poolside where you can soak up some sun. Families are invited to sit back, relax and watch classic Disney animated features or live-action movies on the giant LED screen. 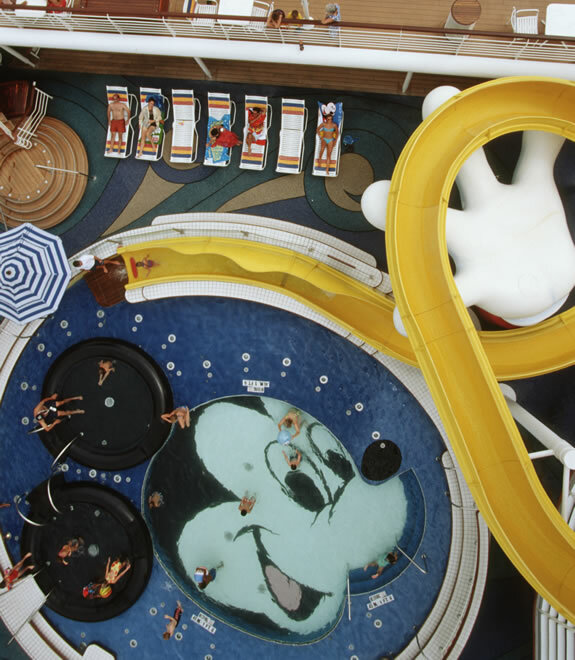 This fanciful water play area is located on Deck 9, Aft aboard the Disney Magic. A fun-filled splash deck for kids ages 3 and under, it features pop jets, bubblers and fountains—starring Donald Duck’s crafty nephews. 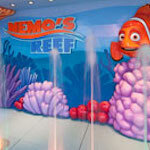 Nemo’s Reef, is a whimsical splash deck for young ones featuring pop jets, bubblers and fountains—starring characters from the hit Disney•Pixar film, Finding Nemo. Who wouldn’t want to swim in a pool with ears? Little kids adore this space, especially the water slide that’s been designed just for them, and the ears which are actually wading pools for the littlest ones. Young children, who are not toilet trained, are welcome to enjoy the fountain play area near the Mickey Pool that has been designed exclusively for the enjoyment of children wearing swim diapers. Age and size restrictions may be applicable. Take a relaxing break at a pool for Guests who are 18 and over. Enjoy two whirlpool spas under the sun or the moon. Soak in the rays while enjoying a specialty cocktail or tasty snack from Signals, the poolside bar with an awesome array of drinks. Make the Quiet Cove Pool all it can be: the perfect peaceful place to lounge with a book or a tropical drink. It is a great place for adults to cool off and mingle with other grownups, while away from the kids! Guests ages 18 and up can savor moments of serenity at Satellite Falls, an adult-exclusive area on Deck 13, Forward aboard the Disney Fantasy. 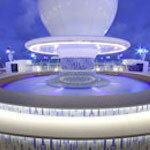 Lounge in the sun or cool off in the circular splash pool, which features benches and a gently cascading rain curtain. 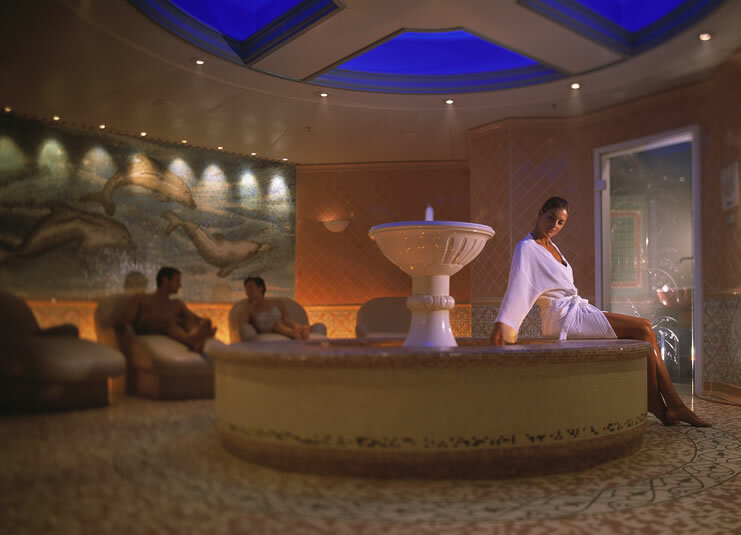 The exquisite spa & salons of Disney Cruise Line provide therapeutic and beautifying personal care services in an impressive haven. The ultimate in peaceful retreats, this immaculate setting offers spa treatments, massages, body wraps, facials, aromatherapy and much more. Salon services include manicures, pedicures, hairstyling and blowouts. Experience pure tranquility, indulgent pampering and inner contentment in an environment designed to soothe the senses. 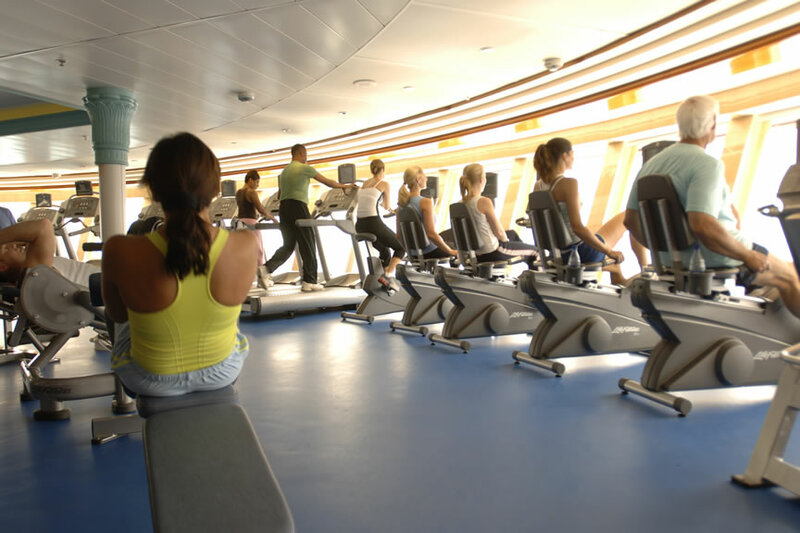 The Disney Cruise Line Fitness Center is an expansive exercise facility with a breathtaking ocean view. You can make the most of the state-of-the-art cardiovascular equipment and weight machines, as well as numerous classes and seminars offering aerobics, yoga and Pilates instruction. For a fee, you can schedule a one-on-one sessions with a personal trainer. Please note that Guests are required to be 18 years of age or older to use the facilities. An open-air activity center featuring fitness and recreational sports and activities for all age groups. Be a good sport with deck activities where you can work up a sweat or just have fun. Get your competitive juices flowing on the Wide World of Sports Deck where you can practice your three-pointers on the basketball court or make that perfect pass with street hockey. Run laps on the terrific track with stunning views of the open sea. 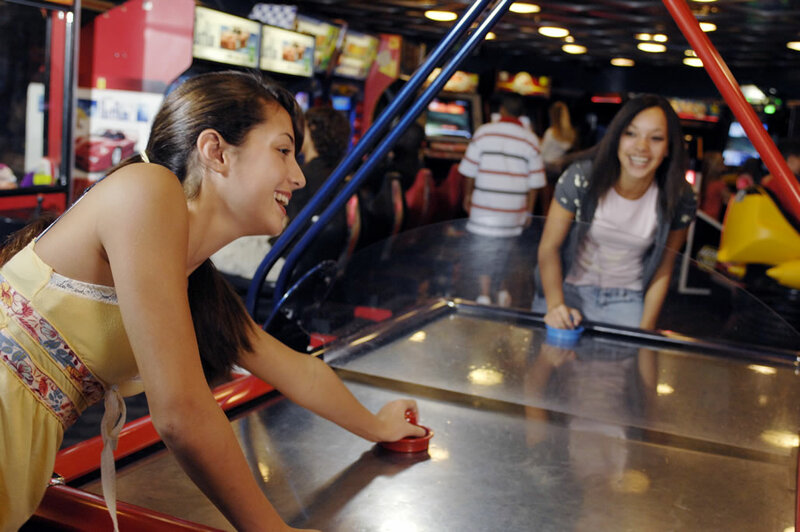 Score big with shuffleboard and ping pong, and outscore opponents in awesome arcade games at Quarter Masters. 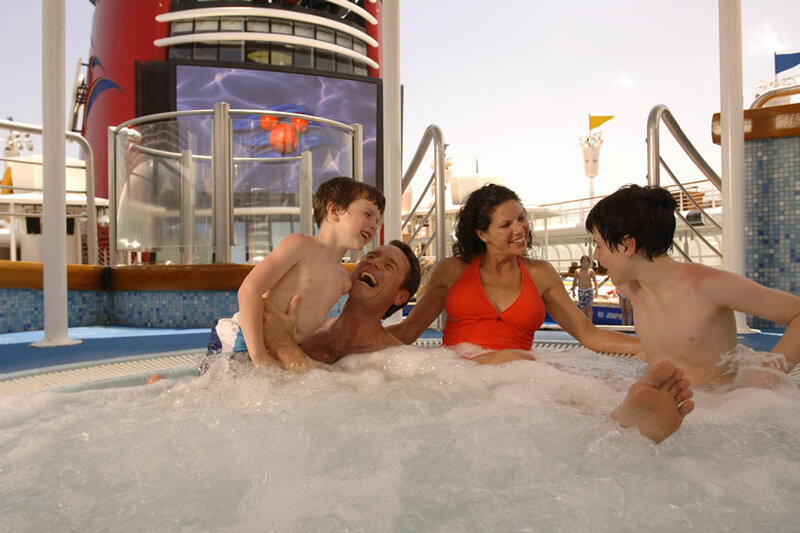 Families on a Disney cruise make memories that last a lifetime. 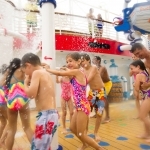 Family activities include deck parties (including the only fireworks show at sea), original Broadway-style live shows, fun at Goofy’s or Donald’s Pool , family karaoke, first-run family films (some in 3-D), and family-friendly excursions on land. You can also experience unique Disney Character Greetings as a family plus family dining experiences that are truly unforgettable. Designed for children ages 3 months to 3 years available at an additional fee. Parents are invited to enjoy more adult-oriented adventures while their children are safely cared for by trained Disney counselors. The nursery provides a colorful and soothing with a peaceful environment. 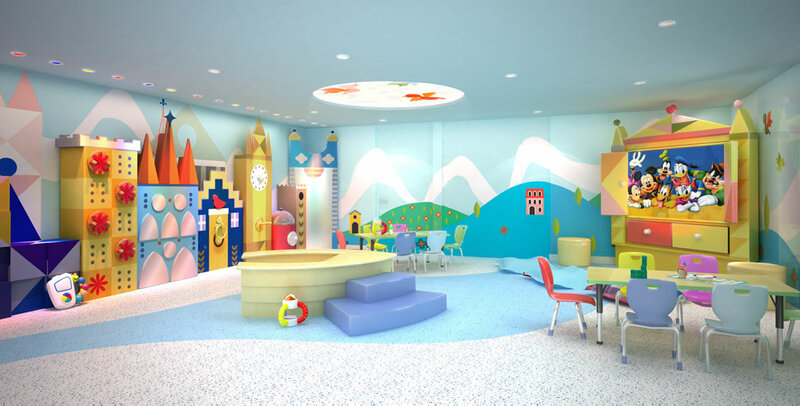 From the stylized patchwork of colorful shapes associated with the “it’s a small world” attraction to the wonder of sea creatures and peaceful waves, your little ones will be delighted. Welcome to a place like no other. Disney’s Oceaneer Club is the ideal place for children 3 to 7 years of age to dress up as their favorite princess or hero, play games, use the computer lab and enjoy a wide variety of supervised activities throughout the day. Delight in programs run by trained counselors who know how to inspire the imagination. 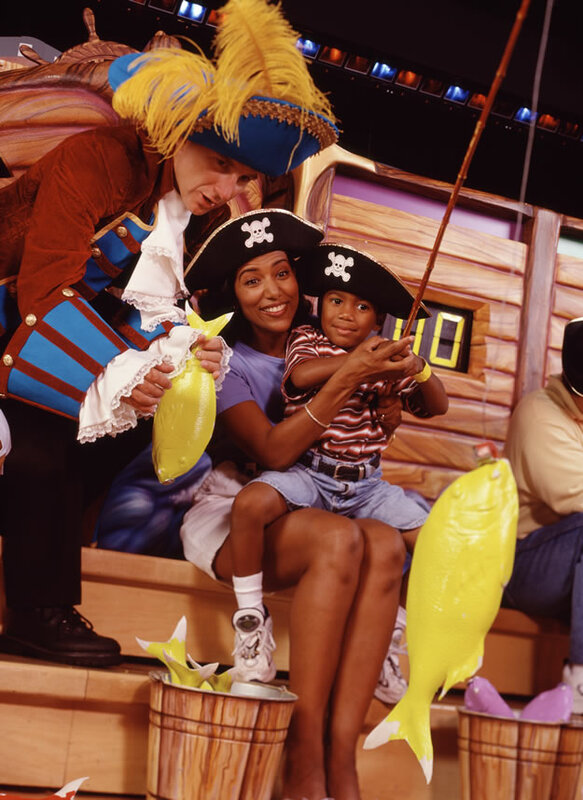 See why no one brings adventures on the high seas to life like Disney with activities tied to kids’ favorite Disney Characters and stories. And Moms and Dads can always stay in touch with the provided pagers. Explore a world beyond the imagination. Disney’s Oceaneer Lab is the ideal place for children 8 to 10 years of age to play games, use the computer lab, perform educational experiments and enjoy a wide variety of supervised activities throughout the day. Be guided by Disney counselors who know how to facilitate fun. 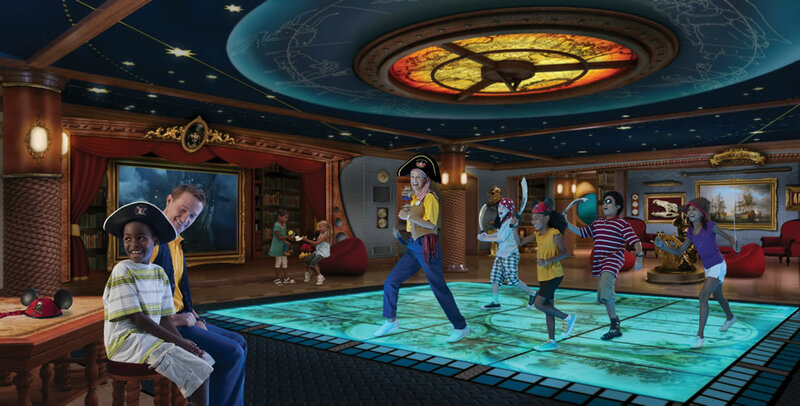 An endless supply of toys, games and Disney movies make Disney’s Oceaneer Lab the perfect oasis at sea. And Moms and Dads can always stay in touch with the provided pagers. 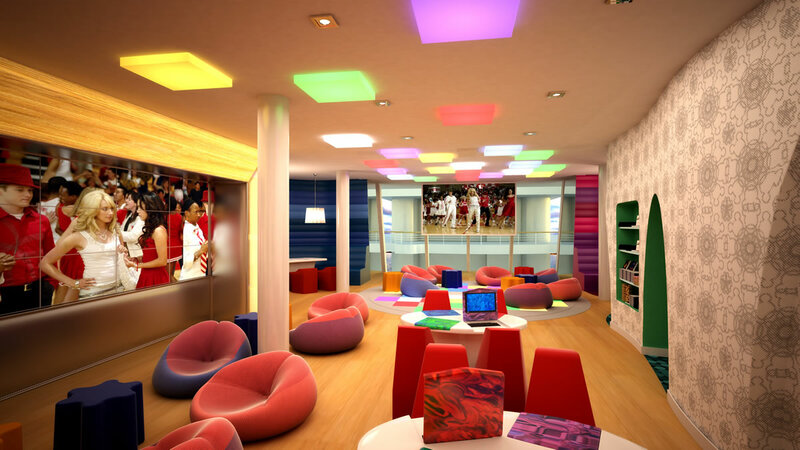 Edge is a loft-style lounge exclusive to tweens (11 to 13 years of age) that is only located on the Disney Dream. A cool tween hotspot to be sure, Edge features a vast array of hi-tech entertainment, including an illuminated dance floor and tables with notebook computers for playing games or for accessing a unique onboard social media application. Perhaps the lounge’s most impressive component is a state-of-the-art video wall. Comprised of 18 individual LCD screens, the video wall acts as a giant screen. The Vibe is a teens-exclusive hangout on Disney Cruise Line. 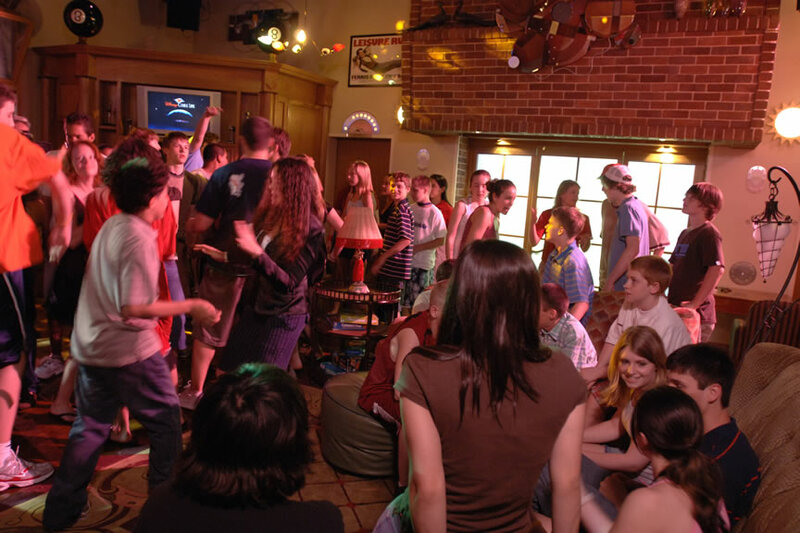 Open throughout the day, this is the ideal place for teens ages 14 to 17 to hang out, and kick back with new friends. Along with video games and movies, teens are also invited to surf the Internet and enjoy a variety of activities in this hip urban coffee shop style environment. Although designated as a teens-only hangout, this area is chaperoned by the coolest counselors at sea in such a way to make teens feel as unrestricted and comfortable as they can possibly be.